A local sailor was found dead on Tuesday, September 3rd, aboard a Navy patrol boat that was anchored in the San Diego Bay, according to authorities. 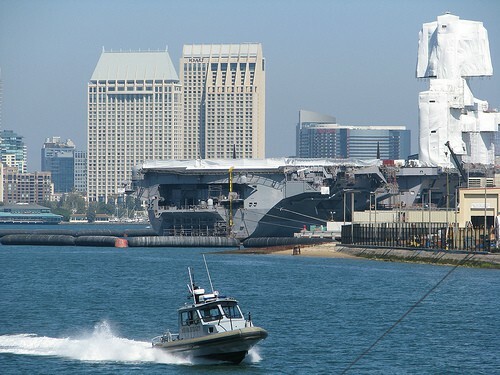 The patrol boat was located just north of the Midway Museum in San Diego. The fatality was noted on Tuesday shortly after 4 p.m. close to the Broadway Pier, as stated by the San Diego Fire Rescue Department. The death of one Navy sailor was due to a shooting, however, the Navy Region Southwest Public Affairs said that no foul play was involved in the death of the sailor. According to NBC San Diego, Navy and San Diego Harbor Police boats were seen on the pier going to investigate the scene; there were many frantic people aboard these ships descending to meet the Navy patrol boat. Medics quickly pronounced the victim as dead at the scene. The name of the sailor is being withheld until family notification is fulfilled. Navy spokesman Brian O’Rourke said that the Naval Criminal Investigative Service (NCIS) took charge of the investigation immediately and is working hard to discover the source and preface to the shooting. Because the death did not look like a homicide, the authorities were not looking for suspects as of Tuesday night but they are working on discovering resolutions to the matter. Although the cause of death is still uncertain, there will be a release revealed in the near future to define closure on this tragic event. The end of this sailor’s life is a devastating tragedy for San Diego and we hope that his family and friends will find relief and necessary closure through these investigations. The annual Coronado Speed Festival has successfully dodged the budget cuts this year. Next month, the Naval Air Station North Island will host the Coronado Speed Festival on September 21 & 22 as part of San Diego Fleet Week. San Diego Fleet Week is a public open house of the Navy base that coincides perfectly with Coronado Speed Festival and Fleet Week Foundation festivities. The popular event will have a race track on the flight line, where the public can watch race cars zip around the track. Military aircraft will also be on display during the event. A Navy memo was released July 24 requesting the Pentagon to approve the Coronado Speed Festival, stating that all costs would be covered by Fleet Week even though costs have usually been shared between the Navy and the foundation in the past. 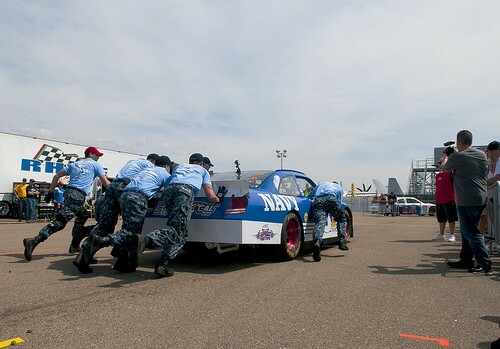 Usually, the Coronado Speed Festival has tours of the Navy ships for the public to see, however, Naval officials said on Friday that they aren’t sure if these tours will be able to happen for this year’s festival. If it is approved to allow ship tours at Coronado Speed Festival, the piers that are home to the USS Carl Vinson and USS Ronald Reagan, will be the first to be on display. For more information about this fun-filled Navy event in San Diego, visit Fleet Week online and for the newest details and an interesting peek into Naval living in America’s Finest City.